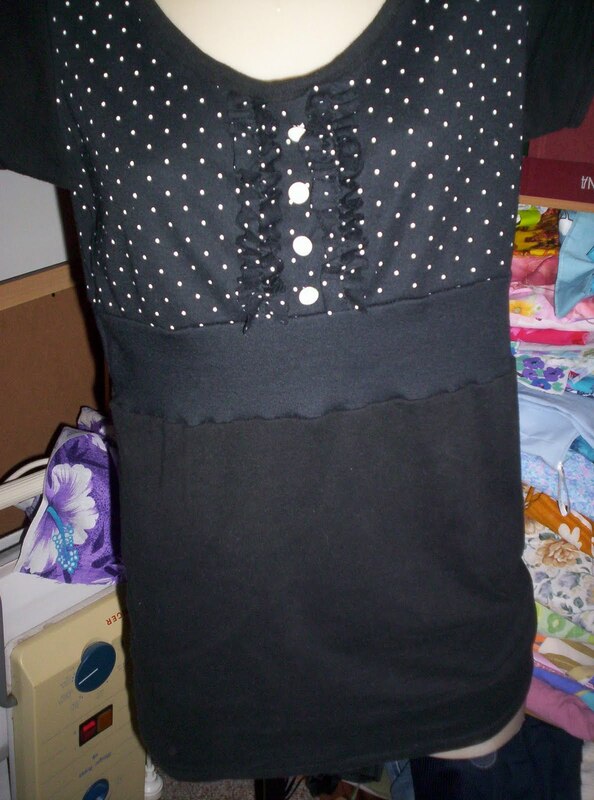 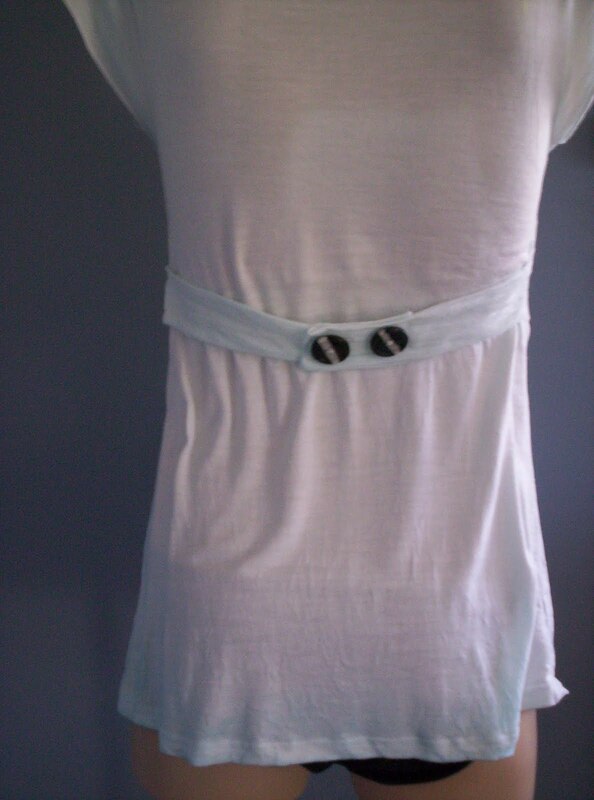 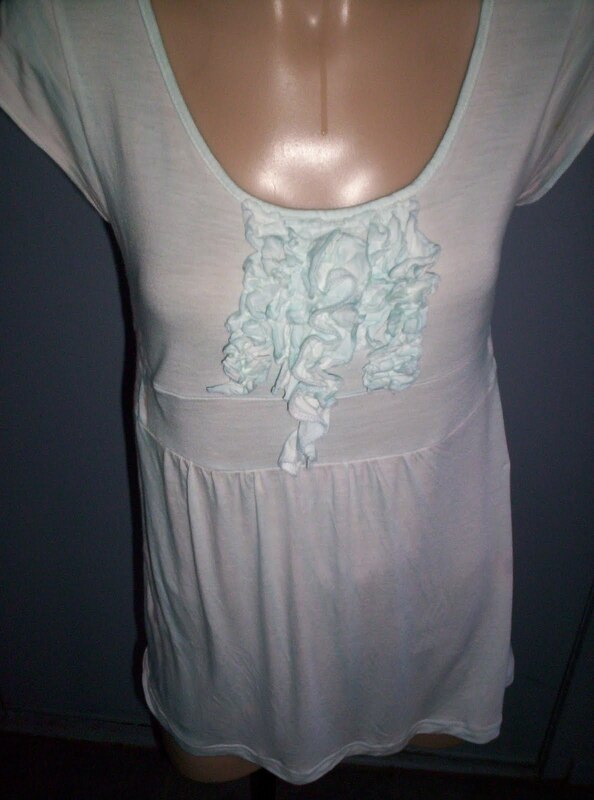 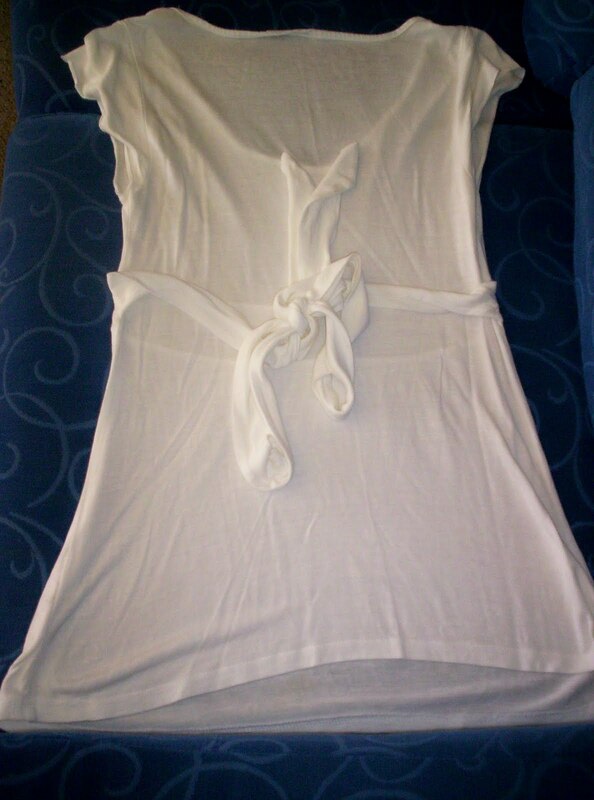 gifted tshirt, the bows dont do much for me, add ruffle to the front, with fabric from the ties. Nicely done. 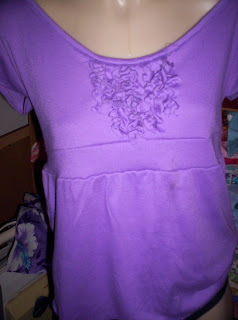 I love recycling T-shirts too. Much nicer with the buttons in the back.